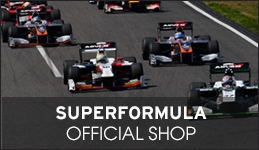 The 2018 Super Formula Rd. 5 at Motegi knock-out format qualifying began under fall-like weather conditions at 2:30 pm. 2017 champion Hiroaki Ishiura, who had a sketchy FP2 in the morning, was the first to register solid lap times. Current points leader Naoki Yamamoto wasn’t far behind. 8 minutes into the session, it was rookie Nobuharu Matsushita who recorded the fastest lap. 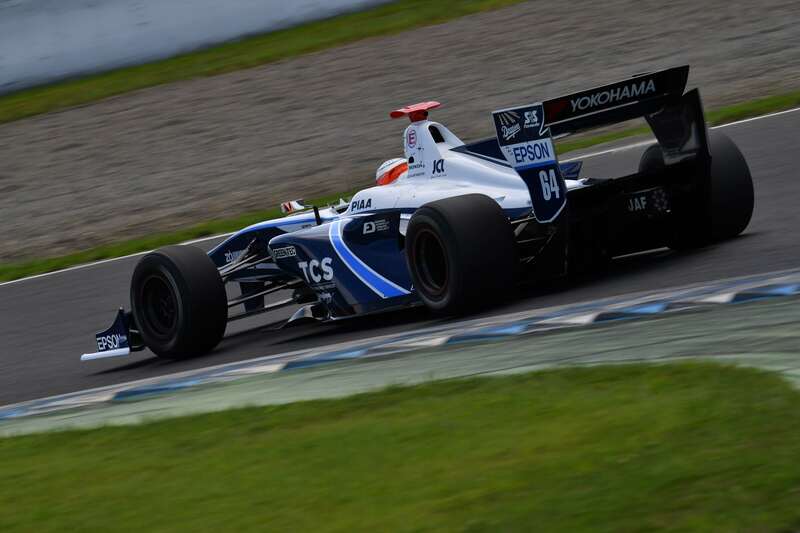 in P2 at that point was Ishiura and P3 Takuya Izawa–who had two very good free practice sessions over the past 2 days. 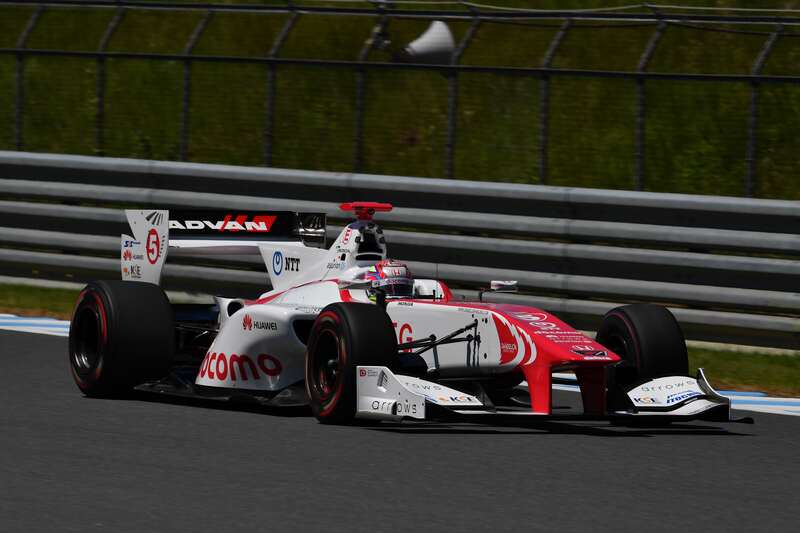 With less than a minute remaining in Q1, Narain Karthikeyan set the time to beat. Tomoki Nojiri was in P2 behind Narain. But as the session came to a close, Nobuharu Matsushita once again posted the fastest time, then Ryo Hirakawa came out of nowhere to finish in P2, leaving Narain in P3. 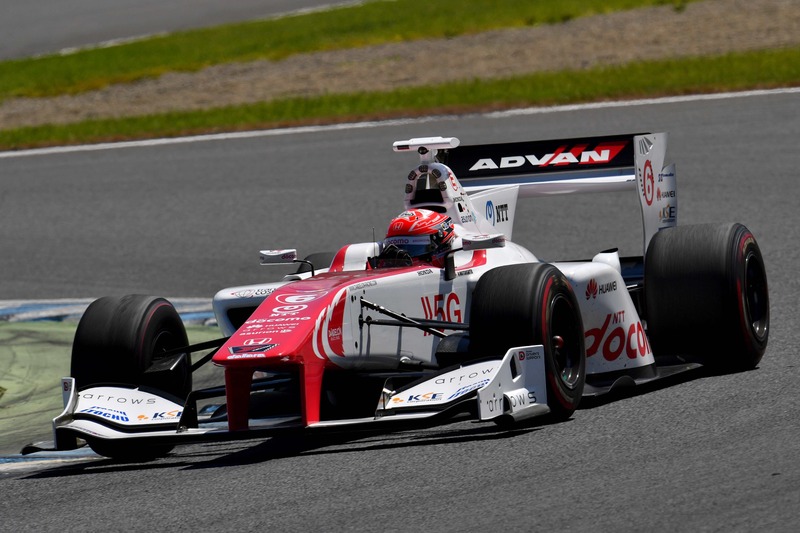 Koudai Tsukakoshi, known to be an overtake master in Super Formula, was in P1 with just 2 minutes remaining in Q2. Narain came in with a time faster than Tsukakoshi’s, but Matsushita broke the course record shortly afterwards. Matsushita’s teammate Tomoki Nojiri, then Ishiura both broke the course record, too. Nojiri, Ishiura, Matsushita sat in the top 3 spots going in to Q3. Tsukakoshi was in P1 with a minute remaining in Q3. Nick Cassidy followed him in P2, then Matsushita in P3. After all the cars had finished their last lap in the session–except Ishiura, Nojiri was in P1, and teammate Matsushita was in P2. 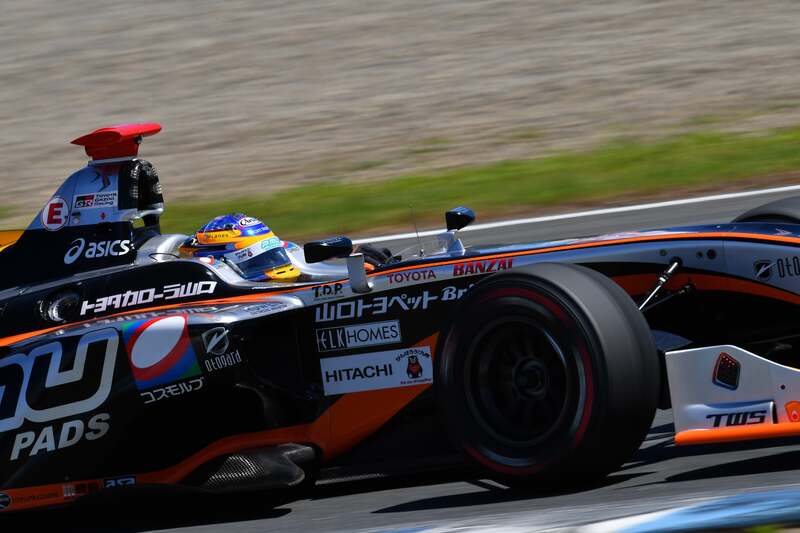 But Ishiura clocked a new record time of 1’31.591 to capture pole for tomorrow’s race. So it will be Ishiura in P1, Nojiri P2, Matsushita P3, Narain P4, Nick P5, Kenta Yamashita P6, Yamamoto P7, Tsukakoshi P8.